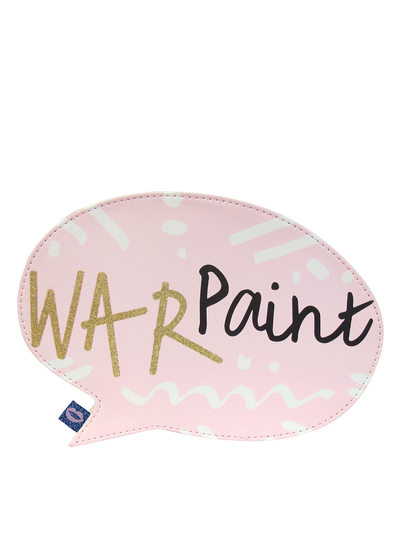 Blå Gungan - webshop design & crafts - Make up bag "War Paint"
Home » Accessories » Bags & purses » Make up bag "War Paint"
Playful pop culture inspired speech bubble makeup bag. Materials: PVC with a nylon lining and metal zip pull. 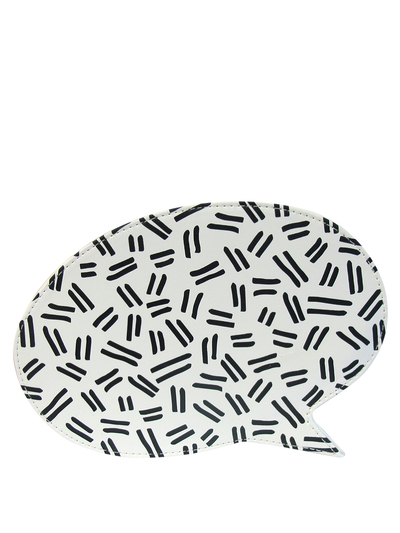 Features: NEW glitter printing! This bag is printed back and front. 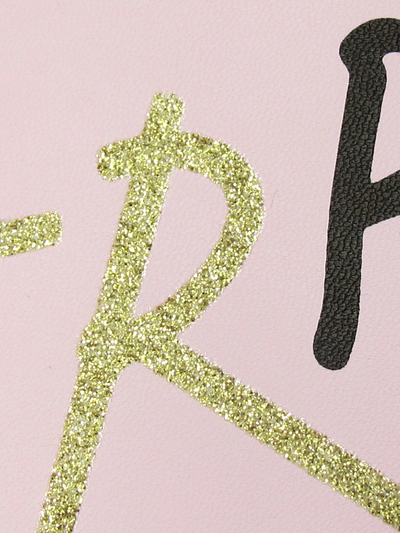 The words ‘war paint’ feature on the front with ‘war’ in twinkling gold glitter. Shiny gold metal zip pull. Structured shape. Inside: Plain cream nylon lining.